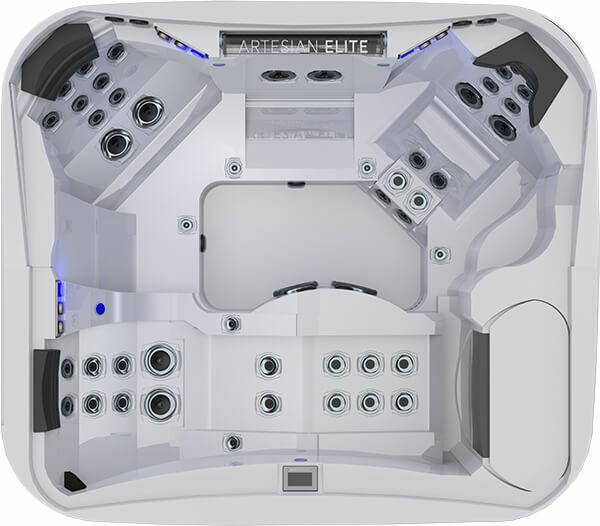 ARTESIAN ELITE features 5 spacious and elegantly designed spas, all equipped with our patented DIRECTFLOW Personal Control® System, allowing for a fully-customizable spa experience. 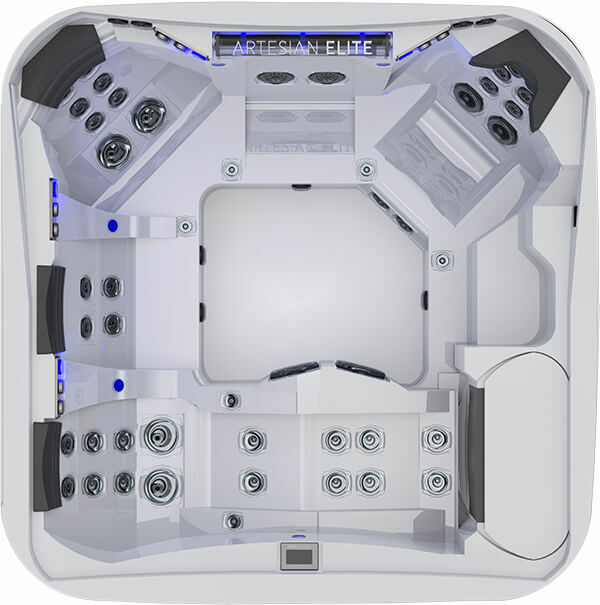 ARTESIAN ELITE also highlights the latest in technological advances, enhancing the experience of every guest lucky enough to enjoy one of our hydrotherapy getaways. Our patented H20 PowerFlow® Jets melt away tension and stress with ease, helping you instantly sink into a deep and relaxing state of euphoria. The Pelican Bay is the ultimate therapeutic spa experience – designed specifically with large families and entertainment in mind. Whether you are looking for a spacious and luxurious design for yourself or looking to transform your backyard into the neighborhood hot-spot for entertainment, the Pelican Bay is the choice for you. 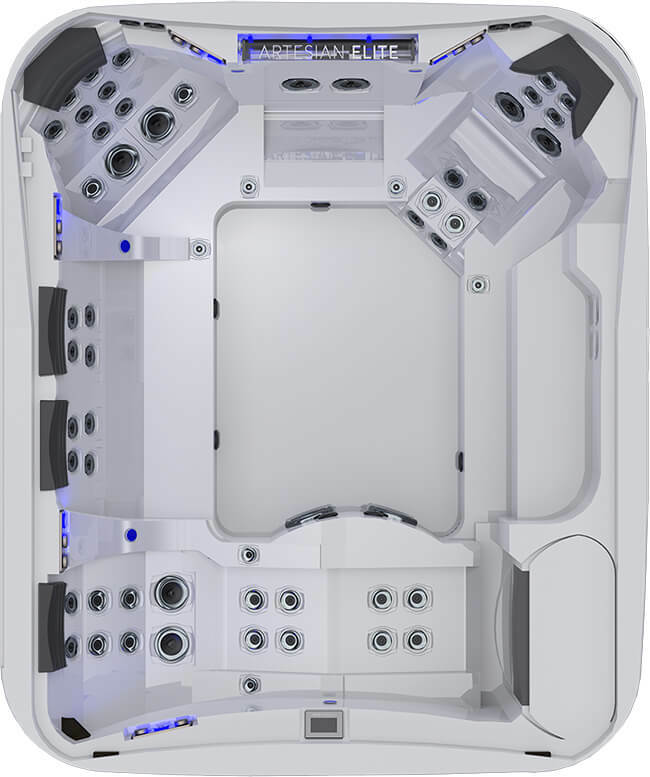 Its unprecedented 7-seat layout provides top-of-the-line hydrotherapy comfort, without sacrificing any important performance metrics. 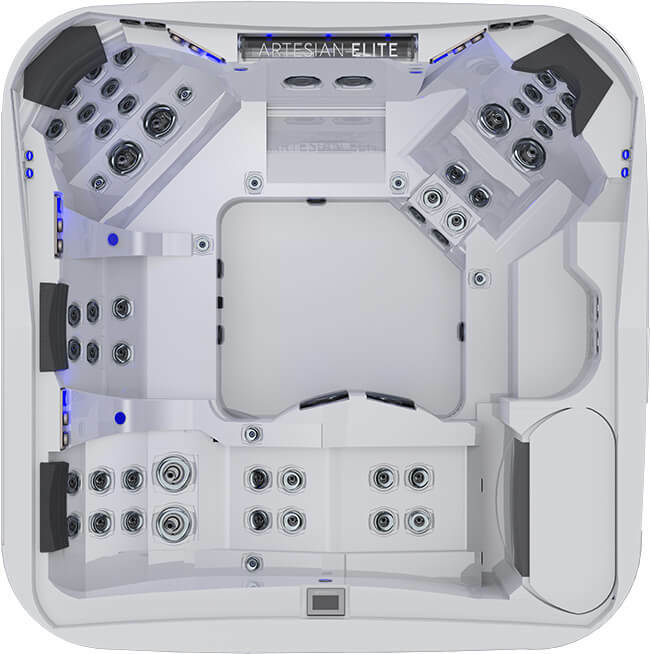 This spacious spa features high-performance jets and personal control modules for the massage seats, giving a customizable and highly individualized experience. The Pelican Bay is sure to help strategically and systematically alleviate the stresses of everyday life, in an expansive, relaxing and cutting-edge daily getaway. The Piper Glen’s technological advances have created a personalized control system – allowing each person to create a customizable and unique experience, targeting their own individual areas of tension. 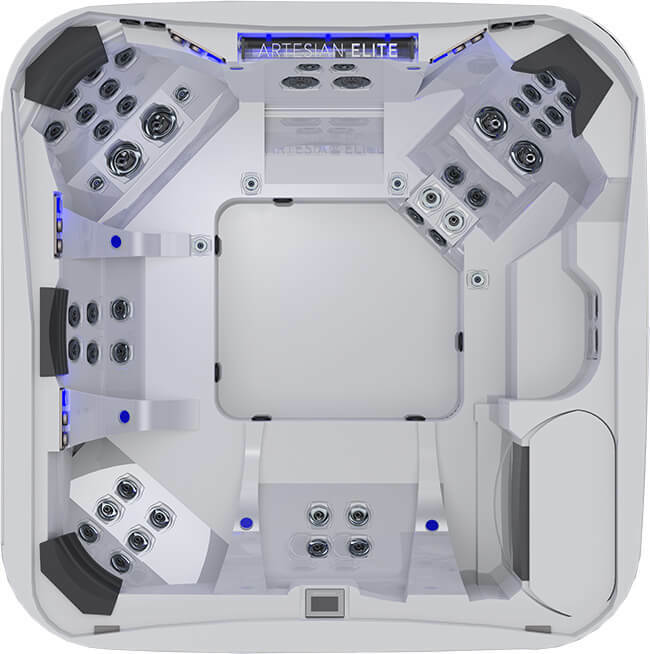 The luxurious design of The Piper Glen allows you to ease your tension away with a powerful combination of heat and the latest in hydrotherapy technology. Say goodbye to sore muscles, tension and stress as you relax your body into a state of euphoria – each and every day! It’s equipped with 6 luxurious seats and powerful massaging jets.